The question did Paul condone slavery in Philemon is often raised by detractor of the Bible. Here it is addressed as part of my series of messages for the Radio program “The Grace Hour” which comes on RJR94FM every Sunday morning at 7.15 and is produced by the Missionary Church Association in Jamaica. The constraints of the series schedule demands that we leave the letter to Philemon and plough into John’s second epistle. Nevertheless as promised let’s raise the matter of slavery that is often coughed up by some of the detractors of the Bible. Their contention is that the New Testament does not explicitly condemn the practice and that Paul’s sending of Onesimus back to his owner is giving tacit support to it. To suggest that Jesus, Paul and the rest of the New Testament writers supported slavery takes quite a leap into the realm of inconsistency. This is a classic misuse of the argument from silence. If we recall from the opening of the Letter to Philemon, Paul’s self understanding as a prisoner of Christ and Philemon’s fame for his loyal faith and his notorious love it is difficult to suggest that both men of the cross would be colluding to prolong the dehumanizing brand of slavery that we have come to know in the modern world. John Piper weighing in on this carries a similar sentiment. He argues that Paul sent him back to Philemon who had been his master, and he said, “I am sending him back as a brother. Honor him.” I think that kind of spiritual dynamic is intended to explode the system. He puts the command of neighbor-love—do unto others as you would have them do unto you—in the place of the right of the master to threaten. And if you don’t threaten, what do you do? You win by love, and that transforms slavery into employment.” There are other solid considerations as to why Paul may have opted to not take a direct swipe at the Roman instituted system of slavery which formed part his socio-political context. The Expositor’s Bible Commentary suggests that the attitude of the New Testament to slavery is the same as to other unchristian institutions. It brings the leaven, and lets it work. That attitude is determined by three great principles. First, the message of Christianity is primarily to individuals, and only secondarily to society. It leaves the units whom it has influenced to influence the mass. Second, it acts on spiritual and moral sentiment, and only afterwards and consequently on deeds or institutions. Third, it hates violence, and trusts wholly to enlightened conscience. So it meddles directly with no political or social arrangements, but lays down principles which will profoundly affect these, and leaves them to soak into the general mind. If an evil needs force for its removal, it is not ready for removal. The only true way is, by slow degrees to create a state of feeling which shall instinctively abhor and cast off the evil. For further reflections on the evil of slavery and the Christian response especially from a Caribbean perspective I highly recommend Dr. Burchell Taylor’s Bible Study entitled “Onesimus: The Voiceless Initiator of the Liberating Process” in the Book Caribbean Theology: Preparing for the Challenges Ahead. We give attention now to the second Epistle of the Apostle John, as our 3rd one chapter book of the Bible. The letter is addressed to “the elect (chosen) lady Cyria and her children. This may refer to an individual and her family, or possibly to a church. Our purpose here will not allow us to detain ourselves with identifying the recipient, our concern here is the emphasis of the Apostle to his readers which stands for posterity. John makes a serious case for importance of the doctrine of the incarnation, that is that Jesus is God’s son in bodily form. He is also on par with Jude who we shall encounter in the weeks ahead, in his passion for the perseverance in living out and defending the authentic message. John wanted to impress on his readers the importance of continuing in God’s love and rejecting heresy by exercising discernment. As we read John’s letter here we cannot escape his intentional focus on truth. As a matter of fact John used the word truth some thirty-seven times in his New Testament writings. He opens his letter here The elder, To the lady chosen by God and to her children, whom I love in the truth—and not I only, but also all who know the truth— 2 because of the truth, which lives in us and will be with us forever: 3 Grace, mercy and peace from God the Father and from Jesus Christ, the Father’s Son, will be with us in truth and love. 4 It has given me great joy to find some of your children walking in the truth, just as the Father commanded us. 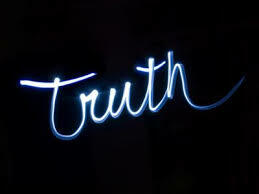 Truth refers to the divine reality and signifies what is ultimately real, namely God Himself. It can therefore refer to the expression of God in His incarnate son and in the Christian message. John was concerned that we understand that truth must be an abiding kernel. He makes it clear that it will be with us forever: The truth does not change. The truth will be true forever, and we will have the truth forever in eternity. Many people today think that the truth changes from age to age and from generation to generation, but the Bible knows that the truth will be with us forever. So all those clear inventions we have made to justify our shifting of the ancient landmarks will not stand up to the test of the Spirit. We may us well quit while we can. Let the church be the church. This is a good treatment of a sensitive subject. Thanks Rev.